Populations of white-lipped peccaries, Tayassu pecari, have already been extirpated or drastically reduced in much of the Neotropics, but are still relatively abundant in the Brazilian state of Mato Grosso, the country's largest maize and soy producer. This article synthesises over a decade of experience both visiting farms which experienced crop damage and working with hunters, farmers and technicians who live in areas of conflict with T. pecari. These social ungulates feed within maize plantations bordering forest fragments during the entire cultivation cycle and farmers in Mato Grosso vociferously protest the severe economic losses they cause. To protect their crops from damage, farmers slaughter white-lipped peccaries using firearms, traps and mass poisoning. 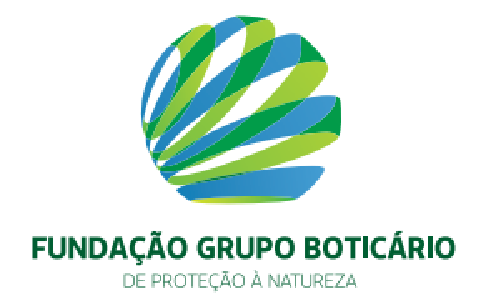 We also draw attention to the need to mitigate the damage caused in agricultural frontiers by this ecologically important species, such that it is not decimated as it has been in the Caatinga and Atlantic Forest biomes. The white-lipped peccary, Tayassu pecari (hereafter, WLP) form one of the largest herds of any large-bodied tropical forest mammal, with group sizes in the Amazon exceeding 1200 animals (C.A. Peres, unpubl. data). This social ungulate species is considered vulnerable by the International Union for Conservation of Nature (IUCN) (Keuroghlian et al., 2013) and recognised to be an ecosystem engineer (Keuroghlian and Eaton, 2009; Beck et al., 2010). In this essay we present the paradoxical situation this species faces in Brazil, where it has been extirpated from many parts of the country (Keuroghlian et al., 2012), yet is considered a pest in others (Jácomo, 2004). The WLP has a wide Neotropical distribution, occurring between southern Mexico and northern Argentina (Mayer and Wetzel, 1987), but has been driven to regional scale extinction in several Central American countries and is virtually extinct in southern and northeastern Brazil. In the Atlantic Forests of southern and eastern Brazil, small populations with low long-term viability still persist (Jorge et al., 2013; Altrichter et al., 2012), whereas they occur at very low herd densities in much of lowland Amazonia (Peres, 1996), but our extensive observations suggest that they remain relatively abundant in the agribusiness heartlands of centre-western Brazil. The widely divergent subnational conservation status of WLPs exemplifies national biodiversity trends more generally (Brandon et al., 2005) and can be explained in part by the highly polarised development trajectories experienced in different regions of Brazil. The Atlantic Forest biome, encompassing areas of the highest human population density on the continent, has experienced roughly 80% deforestation (Ribeiro et al., 2009), whereas the sparsely populated Amazon biome retains roughly 80% forest cover within Brazil. Landowners in the agribusiness sector, which accounts for 21.6% of Brazil's Gross Domestic Product (GDP), resent WLP incursions into maize plantations, whose attendant annual losses they estimate to be worth millions of dollars. The state of Mato Grosso, in the centre-west of the country, is the largest Brazilian soy producer. Soy plantations in the Cerrado and Amazon biogeographic biomes of Mato Grosso occupied 10.46 million hectares (Mha) during the 2017/2018 harvest (SojaMaps, 2018). Maize, which is commonly planted in rotation with soy, occupied 4.47Mha during the 2017/2018 harvest (CONAB, 2018) (Fig. 1). (A) Status of white-lipped peccaries in Central and South America, (B) with emphasis on the state of Mato Grosso, Brazil, where maize and soybean plantations are expanding in the Amazon biome. WLP range map adapted from IUCN (2018). For over a decade we’ve talked informally to over a hundred farmers, hunters and agronomists who report that WLPs in Mato Grosso farmland mosaics live in groups of up to 300 individuals (similarly to the findings of Fragoso, 1998 in his study in Pará) and leave forested areas to feed in adjacent maize plantations, causing severe economic damage to farmers. Numerous articles document so-called “crop raiding” whereby medium-sized and large-bodied wild tropical vertebrates damage subsistence crops in Africa and Asia (see Naughton-Treves et al., 1998; Sukumar, 1990), the value of which is rarely accounted for in national metrics of economic productivity. We have, however, seldom encountered in the literature a large native vertebrate crop raider whose capacity for economic damage rivals that of the WLP. MacMillan et al. (2004) estimated that geese caused £779,000 of damage to farms in Strathbeg and Islay in Scotland, whilst Pimentel (2007) estimated that feral pigs cause roughly $1.5 billion in damages and control costs every year in the USA. To contextualise this damage, it should be noted that within the vast agricultural frontier of Mato Grosso, farmers with plantations of up to 2500ha are deemed “smallholders” and only planted areas larger than 5000ha are considered “large-scale”. After our experience working with farmers and agronomists throughout the state we found that many farmers who protest against the damage which WLPs cause to their plantations, suggest extreme measures including regular large-scale culling to control this species. They report that WLPs attack maize plantations during the entire cultivation cycle, and Jácomo (2004) working in the surroundings of the Emas National Park in the neighbouring state of Goiás estimated that each animal damaged or consumed 1.9kg of maize per day, causing an average crop loss of 8% per harvest in the assessed areas. The Brazilian government exerts no control measures whatsoever over WLP populations, leaving farmers to take matters into their own hands. The state of Mato Grosso is very extensive (∼903,378km2) and the severely under-resourced and under-staffed state and federal authorities understandably prioritize command-and-control conservation measures to curb rampant illegal deforestation, timber smuggling and the encroachment of indigenous territories and state and federal nature reserves, over the conflicts caused by WLPs. The farmers’ most common response is to cull the species. Hunting is much practiced by farm residents in Mato Grosso in the afternoon after their working shift, which is also when WLPs leave the plantations and return to forest fragments in search of shelter and water. A pair of hunters will ride a single motorbike and repeatedly circle the dirt roads that separate the forest fragments from the plantations, one acting as the driver whilst the other wields a shotgun. They therefore do not practice the constant surveillance reportedly used as a crop-raiding deterrent strategy by adults and children in several other countries (Naughton-Treves, 1998). Mechanised agribusiness requires few labourers, whose time is occupied with weeding, fertilizing, and maintaining machinery, leaving little time for any preventive crop-raiding measures including vigilance. One farm we visited installed 7km of electric fence separating their plantation areas from forest remnants. Farm workers reported that this measure had resulted in an appreciable reduction in WLP incursions. In those cases in which animals managed to overcome the fence, however, they became trapped within the plantation and caused considerable damage. The use of trained hunting dogs is not uncommon. During the period preceding the maize harvest, some farms organise intensive hunting parties with dogs in an effort to slaughter as many WLPs as possible and eliminate the need to hunt during the economically vital peak harvest period, when maize plantations are most attractive to WLPs. Other farmers by contrast, regularly hunt with dogs, more as a weekend leisure activity than a form of crop-raiding control. We also received several reports of farmers who pay a bounty for each WLP slaughtered, contracting hunters specifically for this end. Traps are also used. Farmers construct corrals in the forest, within which all captured animals are invariably slaughtered. Poison has been used to control wildlife populations in Brazil and elsewhere in the world (Ogada, 2014). For example, the carcasses of domestic animals are often reportedly poisoned as a means to reduce depredation attacks by carnivores. As the hunting and slaughter of wild animals other than for subsistence is illegal in Brazil (Law 5197 of 3rd January 1967, Article 1), many landowners use poison as a cheap and concealed method which does not attract the attention of environmental authorities. In the southern Amazon, cattle ranchers often resort to the use of bounty hunters (Michalski et al., 2006) or poison to eliminate large felids such as jaguars and pumas (Panthera onca and Puma concolor) that attack cattle. This latter technique was assimilated by farmers, who now use poison to control populations of WLPs. Poisoning is usually achieved using the product “Furadan”, a nematicide insecticide with Carbofuran as the principal active ingredient, which is also used for this purpose in other parts of the world (Ogada, 2014). Farmers first habituate WLPs to eat salt deposited in troughs in the forest. Once WLPs become pre-conditioned to the feeding site, farmers poison the troughs. We received several independent reports of this technique and in one case more than a hundred animals were killed at once, likely subsequently contaminating forest scavengers such as king vultures (Sarcorhamhus papa) and two species of turkey vultures (Cathartes spp.). This indiscriminate method has grave consequences as many non-target species including tapir (Tapirus terrestris) and brocket deer (Mazama americana and Mazama gouazoubira) are also attracted to salt and die along with WLPs. Carnivores and carrion consumers that subsequently feed on the poisoned carcasses often succumb in turn, as occurs in India, where the use of poison to control wild boars (Sus scrofa) affects tigers (Panthera tigris) and leopards (Panthera pardus) (Kalaivanan et al., 2011). Farmers report that they have previously employed various alternative methods to reduce WLP incursions, all without success. They cite for example diversionary feeding tactics within the forest, constructing defensive moats, using nonlethal firecrackers and the use of alternative and barrier crops, as ineffective methods. The only truly effective measure, according to farmers, is to periodically slaughter WLPs to control their population. The geographic scope of WLP crop incursions and subsequent lethal response seems likely to increase. Agribusiness has begun to replace livestock farming in low-revenue Amazonian pastures of Mato Grosso where stable coexistence with WLPs was once the norm. There are already 3.98Mha of soy planted in the Amazonian biome in Mato Grosso (Silva and Lima, 2018) (see Fig. 1), with maize succeeding soybean in the intercropping system of many farms. In the 2017/2018 harvest alone, 174,569ha of pasture were converted into new soy plantations in the Amazon biome of Mato Grosso (SojaMaps, 2018). In these new plantations where soy is adjacent to forest fragments and is replaced by maize, conflict is highly likely and WLPs will continue to face severe persecution. Studies of WLP population dynamics in agribusiness areas of Cerrado and Amazon biomes are still lacking. Consequently it is unknown whether formerly robust WLP populations are now declining as a result of persecution and habitat conversion in active agricultural frontiers. Between 1988 and 2017, cumulative deforestation within the state of Mato Grosso amounted to 147,747km2 (INPE, 2018). In the Amazonian and Cerrado portions of the state, respectively, 15.04Mha and 14.71Mha were converted into a combination of pastures and crops (Silva and Lima, 2018). Mato Grosso is one of the least protected Brazilian states, and WLP populations in the state are increasingly confined to forest fragments on private farmland landholdings, where the forest ecosystem disservice they engender disincentivises farmers from conserving forest biodiversity. Thus far, the Brazilian government has proposed no solution to the aforementioned problem. Though conservationists and agronomists can draw upon management strategies devised for analogous species (for example: Massei et al., 2011) and upon extensive local experience, such strategies may not be suitable for this vulnerable and ecologically important species. Given the apparent abundance of WLPs within Amazonian agricultural frontiers, juxtaposed with its extirpation from large parts of its historical range, managers may consider translocating individuals, though such a strategy is not without risk (Germano et al., 2015). The plight of WLPs in Mato Grosso exemplifies the tensions between country-level and subnational IUCN species conservation status. The IUCN Red List moved WLPs from Near Threatened to Vulnerable in 2008. In Brazil they are considered to be Vulnerable (Machado et al., 2008), yet at subnational scales within Brazil their status ranges from Least Concerned (LC) in the Amazon biome, to Endangered (EN) in the Cerrado biome and Critically Endangered (CR) in the Atlantic Forest Biome (Keuroghlian et al., 2012). This species is worthy of reintroduction programs and other expensive conservation measures in some regions, while in other areas of the country, they continue to be a widely abominated vermin species slaughtered by the thousands. If Brazilian decision-makers do not take effective measures to mitigate WLP crop damage, increase farmer tolerance for WLPs and curtail their illegal slaughter, then the species is likely to decline drastically, as it has in the Atlantic Forest and Caatinga biomes of South America (Keuroghlian et al., 2012). Until protective measures are taken, these superb Neotropical ecosystem engineers will continue to be decimated within agribusiness landscapes, in which many farmers favour their eradication rather than their control. M. Altrichter, A. Taber, H. Beck, R. Reyna-Hurtado, L. Lizarraga, A. Keuroghlian, E.W. Sanderson. Range-wide declines of a key Neotropical ecosystem architect, the near threatened White-lipped peccary Tayassu pecari. H. Beck, P. Thebpanya, M. Filiaggi. Do Neotropical peccary species (Tayassuidae) function as ecosystem engineers for anurans?. K. Brandon, G.A. Da Fonseca, A.B. Rylands, J.M.C. Da Silva. Special section: Brazilian conservation: challenges and opportunities. Companhia Nacional de Abastecimento. Acompanhamento da safra de grãos. Vol. 5. Safra 17/2018. Sétimo levantamento. Home range and movement patterns of white-lipped peccary (Tayassu pecari) herds in the northern Brazilian Amazon. J.M. Germano, K.J. Field, R.A. Griffiths, S. Clulow, J. Foster, G. Harding, R.R. Swaisgood. Mitigation-driven translocations: are we moving wildlife in the right direction?. Instituto Nacional de Pesquisas Espaciais – Projeto PRODES. Ecologia manejo e conservação do queixada Tayassu pecari no Parque Nacional das Emas e em propriedades rurais de seu entorno. M.L.S.P. Jorge, M. Galetti, M.C. Ribeiro, K.M.P.M.B. Ferraz. Mammal defaunation as surrogate of trophic cascades in a biodiversity hotspot. N. Kalaivanan, R. Venkataramanan, C. Sreekumar, A. Saravanan, R.K. Srivastava. Secondary phorate poisoning of large carnivores in India. Removal of palm fruits and ecosystem engineering in palm stands by white-lipped peccaries (Tayassu pecari) and other frugivores in an isolated Atlantic Forest fragment. A. Keuroghlian, A.L.J. Desbiez, B. de Mello Beisiegel, E.P. Medici, A. Gatti, A.R.M. Pontes, C.B. de Campos, C.F. de Tófoli, E.A.M. Júnior, F.C. de Azevedo, G.M. de Pinho. Avaliação do risco de extinção do queixada Tayassu pecari (Link, 1795) no Brasil. A. Keuroghlian, A. Desbiez, R. Reyna-Hurtado, M. Altrichter, H. Beck, A. Taber, J.M.V. Fragoso. Tayassu pecari. The IUCN Red List of Threatened Species 2013: e.T41778A44051115. A.B.M. Machado, G.M. Drummond, A.P. Paglia. Livro vermelho da fauna brasileira ameaçada de extinção. D. MacMillan, N. Hanley, M. Daw. Costs and benefits of wild goose conservation in Scotland. G. Massei, S. Roy, R. Bunting. Too many hogs? A review of methods to mitigate impact by wild boar and feral hogs. F. Michalski, R.L.P. Boulhosa, A. Faria, C.A. Peres. Human–wildlife conflicts in a fragmented Amazonian forest landscape: determinants of large felid depredation on livestock. Predicting patterns of crop damage by wildlife around Kibale National Park, Uganda. L. Naughton-Treves, A. Treves, C. Chapman, R. Wrangham. Temporal patterns of crop-raiding by primates: linking food availability in croplands and adjacent forest. The power of poison: pesticide poisoning of Africa's Wildlife. Population status of white-lipped Tayassu pecari and collared peccaries Tayassu tajacu in hunted and unhunted Amazonian forest. Environmental and economic costs of vertebrate species invasions into the United States. Managing Vertebrate Invasive Species. C.A. Silva Jr., M. Lima. Soy Moratorium in Mato Grosso: deforestation undermines the agreement. Monitoring soybean areas through satellite images. UNEMAT, Alta Floresta.